A photogenic and favorite target for amateur astronomers, the full beauty of nearby spiral galaxy M83 is unveiled in all of its glory in this Hubble Space Telescope mosaic image. The vibrant magentas and blues reveal the galaxy is ablaze with star formation. The galaxy, also known as the Southern Pinwheel, lies 15 million light-years away in the constellation Hydra. The Hubble photograph captures thousands of star clusters, hundreds of thousands of individual stars, and "ghosts" of dead stars called supernova remnants. The galactic panorama unveils a tapestry of the drama of stellar birth and death spread across 50,000 light-years. Gradually, the fierce stellar winds from the youngest, most massive stars blow away the gas, revealing bright blue star clusters and giving a "Swiss Cheese" appearance to the spiral arms. These youngest star clusters are about 1 million to 10 million years old. 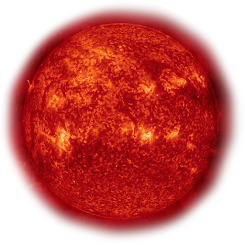 The populations of stars up to 100 million years or older appear yellow or orange by comparison because the young blue stars have already burned out. Interstellar "bubbles" produced by nearly 300 supernovas from massive stars have been found in this Hubble image. By studying these supernova remnants, astronomers can better understand the nature of the stars that exploded and dispersed nuclear processed chemical elements back into the galaxy, contributing to the next generation of new stars. 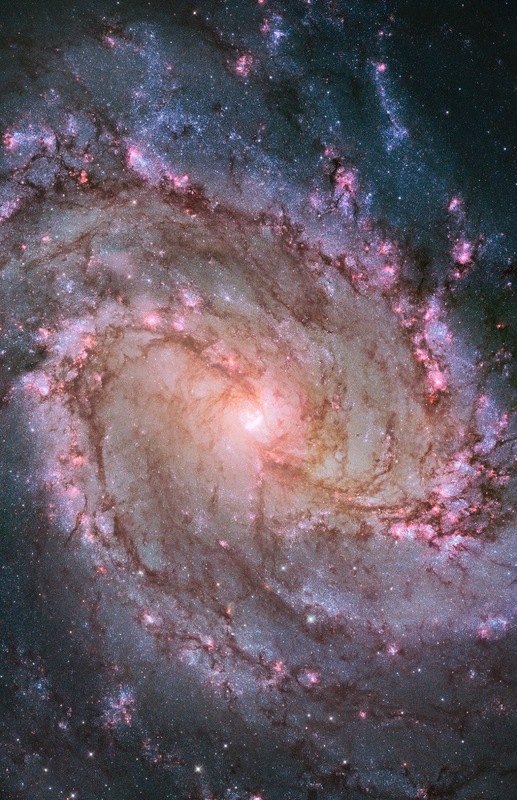 This image is being used to support a citizen science project titled STAR DATE: M83. The primary goal is to estimate ages for approximately 3,000 star clusters. Amateur scientists will use the presence or absence of the pink hydrogen emission, the sharpness of the individual stars, and the color of the clusters to estimate ages. Participants will measure the sizes of the star clusters and any associated emission nebulae. Finally, the citizen scientists will "explore" the image, identifying a variety of objects ranging from background galaxies to supernova remnants to foreground stars.